Extrusion itself is one of the most versatile technologies in the market. Unplasticized polyvinyl chloride or uPVC is one of the most popular materials which use the extrusion technology to develop uPVC window extrusion profiles. uPVC window extrusion of profiles is a technological advancement which only a few uPVC profile companies have been able to perfect it. To understand the process of producing the best uPVC window profiles, it is important to decipher a few components and features of uPVC window extrusion profiles. uPVC window extrusion profiles are made as a part of the extrusion technology the manufacturers use. An extrusion is the process of heating the plastic or the mix and then forming them with the use of a die. It is one of the most popular ways to mold uPVC window profiles. The shape of the uPVC window extrusion profiles is set as the extrusion profiles are pulled. Later, they are uPVC window extrusion profiles are cooled with a water bath which helps them permanently form their shape. 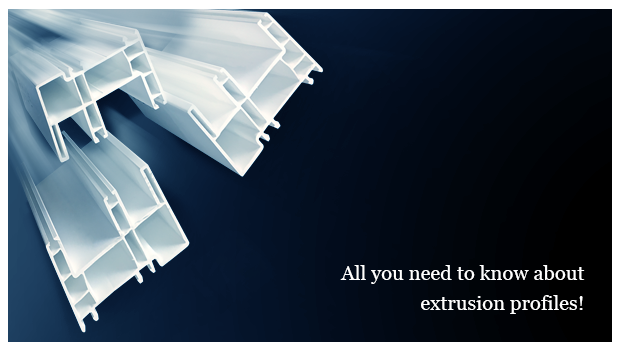 uPVC window extrusion profiles are extremely versatile. They can be softened very easily formed into any particular shape based on the design and project requirement. These uPVC window extrusion profiles are weatherproof, energy saving, pollution-free and fire resistant. Based on nature, uPVC polymers are a man-made material but are actually found in nucleic acids and proteins which are the building blocks of the human body. Due to this specific chemical composition in uPVC window profiles, it makes them ideal for extrusion. The extrusion technology as a whole is the just about found in every market. From the automotive industry to construction, uPVC windows and doors industry, healthcare, lawn and garden industry and aerospace, uPVC polymer extrusions can be found nearly everywhere. With these few facts, it will be easier to comprehend the features and process of uPVC window extrusion profiles. For additional information on the uPVC window extrusion profiles technology explore https://okotech.in/.